Just a quick recap on some fundamentals. In the past, bridging was connecting to Layer 2 network segments together in a scalable. 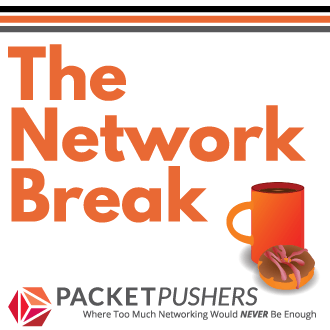 In my recent webinar on Introducing SDN & OpenFlow I talked around whether the use of SDN/OpenFlow is actually Routing or Switching. Forwarding = Forwarding by Flow. 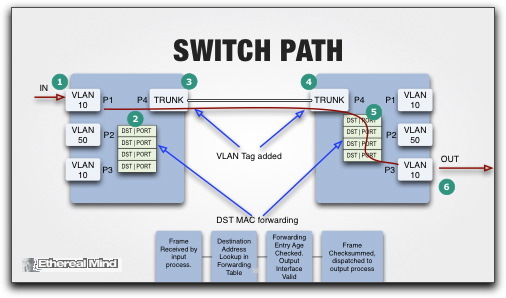 To demonstrate this consider an Ethernet frame being switched between just two switches. Frame is received on an access port, MAC address table is checked and updated as necessary. Lookup on the MAC forwarding table. Frame has VLAN trunk tag insert because it’s a trunk port. Forward the frame output port. Inbound frame matched with flow table and dispatched to output. Hereafter, I will use the term Flow Forwarding. Or just simply Forwarding instead of Switching or Routing. You could equally use the terms Switch Forwarding when at Layer 2, and Route Forwarding at Layer but this seems cumbersome to me. Smarter people than me will probably come up with better names. 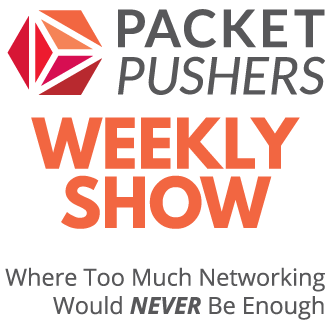 Listened to your recent webinar on SDN and OpenFlow. It was very good, thank you. 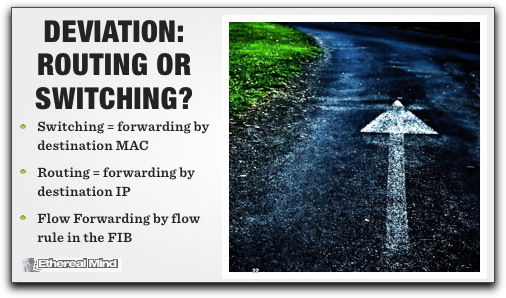 Question, Why are you calling L2 MAC forwarding switching? Several decades ago we did one of 3 things to a packet, repeated it (frame was not touched), Bridged it (L2 MAC forwarding), or Routed it (L3 forwarding followed by L2 forwarding). The term switch is a “marketing” term that really just talks about a multiport Bridge in my opinion, and we have had those for many, many years. 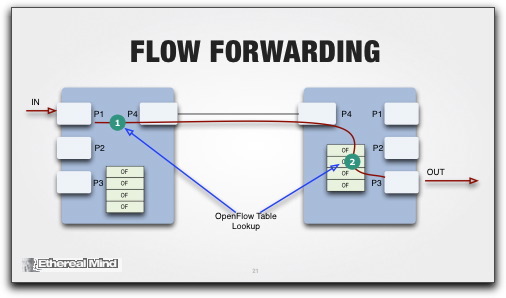 What changes to the Ethernet headers at L2 happen with flow forwarding on a hop by hop basis? If I put my trusty Sniffer on the wire, what will I see different from an Ethernet standpoint? The DST MAC address will have to be changed before it gets to it’s final home doesn’t it? Any examples at that level you can share? Hey Greg, sorry I missed the webinar. Hoping to catch it in an archive sometime maybe…. I think it might be helpful to illustrate your point with a slightly more complex example. One where the path is not determined via STP. That way the path could be different for Switching and Forwarding, which is where the tremendous value begins to emerge. So, I wonder, do you consider label switching as forwarding – since MPLS is using labels instead of MACs? Yes. In 1999 Cisco was calling it “Tag Forwarding” before it became the MPLS. Terms like FEC for Forwarding Equivalent Class are part of the lingo.